Additional Learn to Row Dates! You asked and we have provided! Weekend Learn to Row sessions now available, and July Learn to Row dates set. Spring 2018 Learn to Row Session A: June 4, 6, 11, & 13 from 6 pm to 8 pm! Spring 2018 Learn to Row Session B: June 10*, 17, & 24th from 5 pm to 8 pm! Summer 2018 Learn to Row Session A: July 14 & 15 from 8am to 12pm! Please register by emailing rowingcoldlake@gmail.com with your full name and the season and session you are registering for. Registration in each session is limited to 8 people. Summer 2018 Planning is Under Way! Cold Lake Rowing Club is getting back into the swing of things so please check our site often to get the latest updates. If you have any interest in joining the Cold Lake Rowing Club to help with planning and organizing, or just to row please do not hesitate to send us an email at rowingcoldlake@gmail.com. Our equipment has arrived! 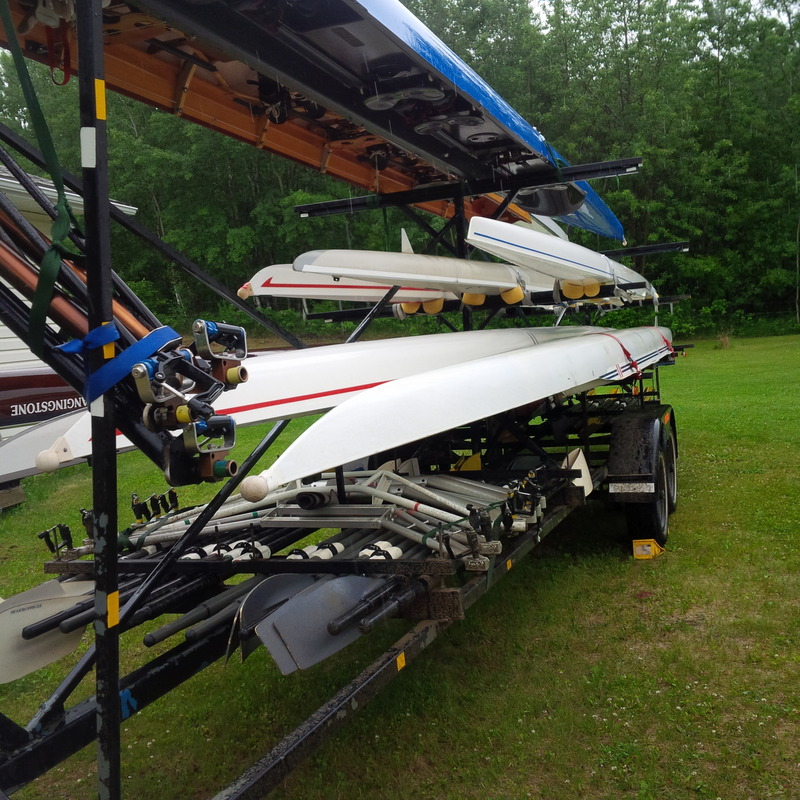 Thank you to the Fort McMurray Rowing Club for donating boats, riggers, oars and a trailer. If not for this donation, we would be fundraising for years to afford this much equipment. New Equipment from Fort McMurray! The next step for our club is to construct our compound at French Bay Provincial Park. Thank you to Alberta Parks and the M.D. of Bonnyville for supporting our club by sharing their space! Help us Bring the Sport of Rowing to Cold Lake! The Cold Lake Rowing Club is a volunteer-run society with the objective of promoting the sport of rowing in the Cold Lake/Bonnyville area. Our goal is to provide both recreational and competitive rowing programs to the lakeland region in a sociable and accessible club environment. Anyone from age 14 to 80+ can enjoy the cardiovascular, flexibility, and muscle strengthening benefits that the sport of rowing provides.